Hardocp guys Yesterday we got an email from NVIDIA about a new H.A.W.X. 2 benchmark and the company encouraged them to use it on upcoming reviews. but Today they got an email from AMD asking them not to use it on upcoming products. 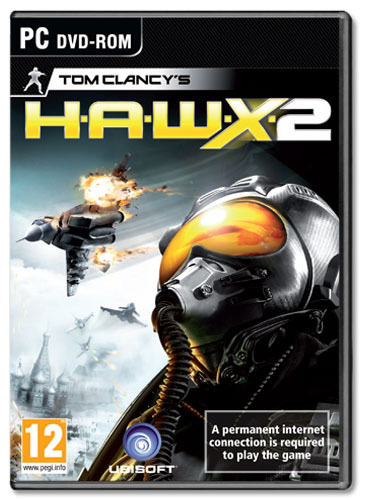 It has come to our attention that you may have received an early build of a benchmark based on the upcoming Ubisoft title H.A.W.X. 2. I'm sure you are fully aware that the timing of this benchmark is not coincidental and is an attempt by our competitor to negatively influence your reviews of the AMD Radeon™ HD 6800 series products. We suggest you do not use this benchmark at present as it has known issues with its implementation of DirectX® 11 tessellation and does not serve as a useful indicator of performance for the AMD Radeon™ HD 6800 series. A quick comparison of the performance data in H.A.W.X. 2, with tessellation on, and that of other games/benchmarks will demonstrate how unrepresentative H.A.W.X. 2 performance is of real world performance. AMD has demonstrated to Ubisoft tessellation performance improvements that benefit all GPUs, but the developer has chosen not to implement them in the preview benchmark. For that reason, we are working on a driver-based solution in time for the final release of the game that improves performance without sacrificing image quality. In the meantime we recommend you hold off using the benchmark as it will not provide a useful measure of performance relative to other DirectX® 11 games using tessellation.